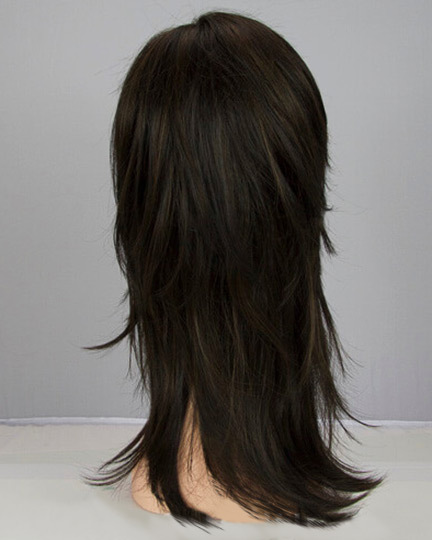 Fringe: 5.5", Crown: 9.0", Nape: 13.25"
Alyssa, designed by Noriko Suzuki for TressAllure Wigs has the same sleek textured layers as the Olivia wig except with a different front of the cap construction. 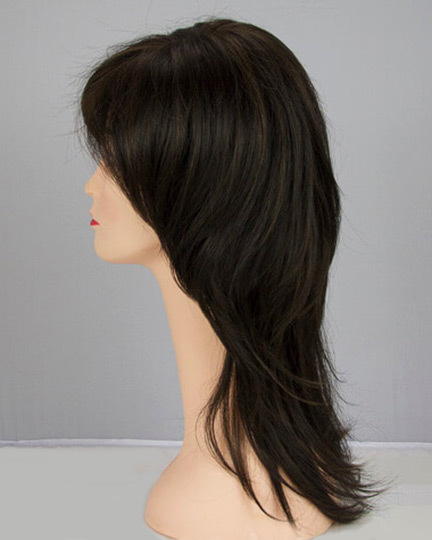 TressAllure Alyssa wigs feature a soft hand made lace front with a Mono Top Crown (single mono) enabling you to part any direction you prefer, to the left, right, or even center for a more natural look. 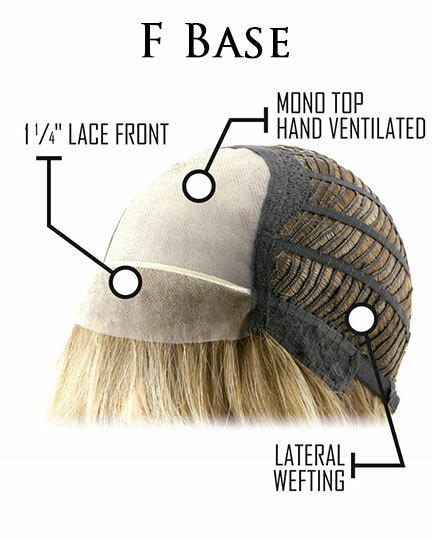 The adjustable straps (no Velcro) can be tighten or loosen the cap size for a more secure and comfortable fit. Alyssa has built-in volume. The second color way shown for Alyssa is Deep-Forest. The third color way shown for Alyssa is Velvet-Cream. 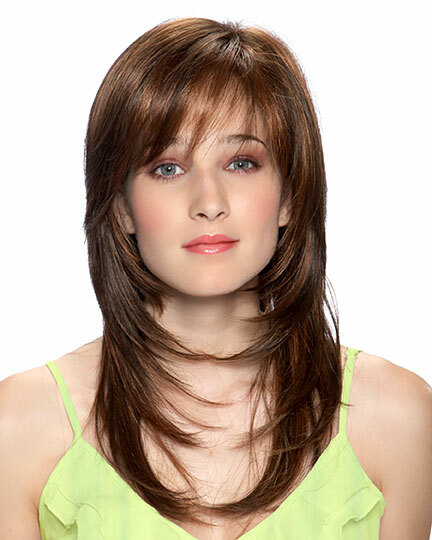 The Alyssa wig weighs 113.4 grams. There are 21 colors available for Alyssa.